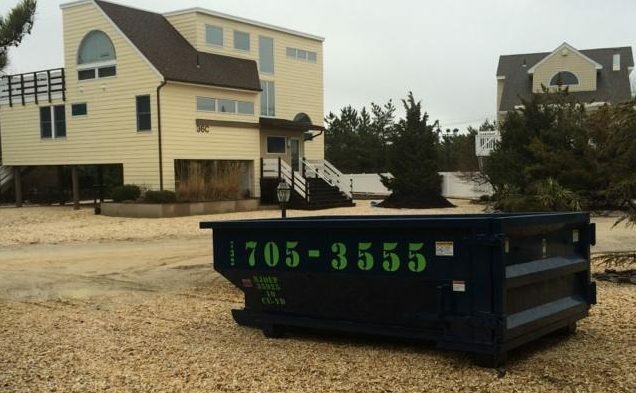 When you need a dumpster rental in Ocean County, NJ, you want a source that’s going to treat you with professionalism and that’s going to provide dependable services. At Hometown Waste, we offer professional, dependable dumpster rental services for home and business owners in Ocean County and throughout the Garden State. Whether you need a dumpster for a residential project, for your business, for construction or for other purposes, we have the products you want and the service you can count on. In cities and towns in Ocean County and throughout New Jersey, Hometown Waste is your best option for dumpster rental. In these towns and cities, plus others throughout New Jersey, count on the dependable, professional services of Hometown Waste. While many picture dumpsters as smelly and unattractive, we go to great lengths to deliver clean dumpsters to your home, business or construction site — without the hidden costs, fees and surcharges you may find with a third-party rental service. We offer competitive rates without sacrificing quality, which is what separates us from the competition. We also provide wood planks (by request only) to pad your dumpster rental in Ocean County, NJ, protecting your driveway or whatever surface you may be using. We’re even available for Saturday delivery, same-day delivery and customer service calls over the weekend. When you want the best in roll-off dumpsters in Point Pleasant, Toms River, Jackson, Lavallette and communities throughout Ocean County and all of New Jersey, count on the team at Hometown Waste. At Hometown Waste, we are proud of our roots in the Garden State and our ability to help home and business owners in Ocean County and other areas of New Jersey. No matter your work and your waste needs, we have a dumpster rental solution for you. Contact us today about dumpster rental in Ocean County, NJ. Make your next dumpster rental fast & easy. Call or Contact us today. Hometown Waste and Recycling Services, Inc.